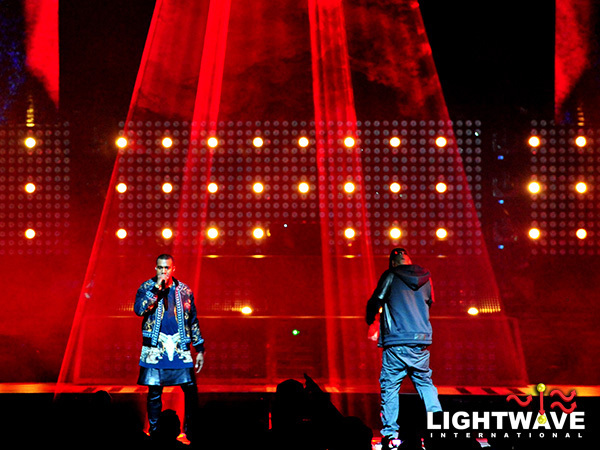 All of the lights! 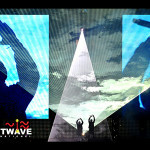 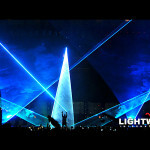 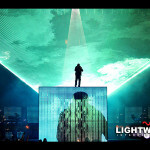 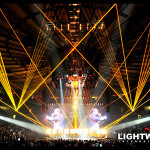 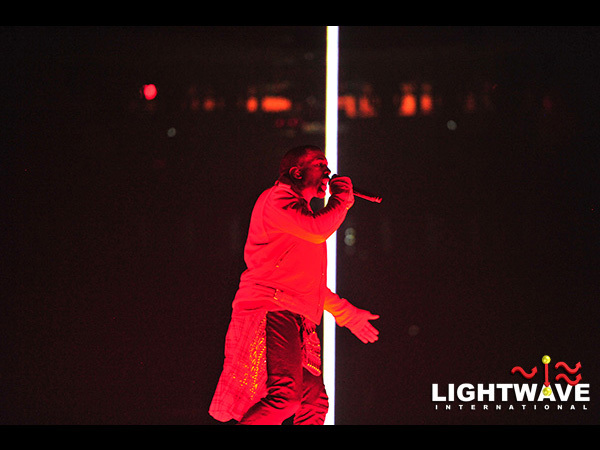 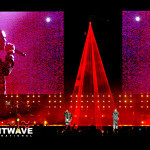 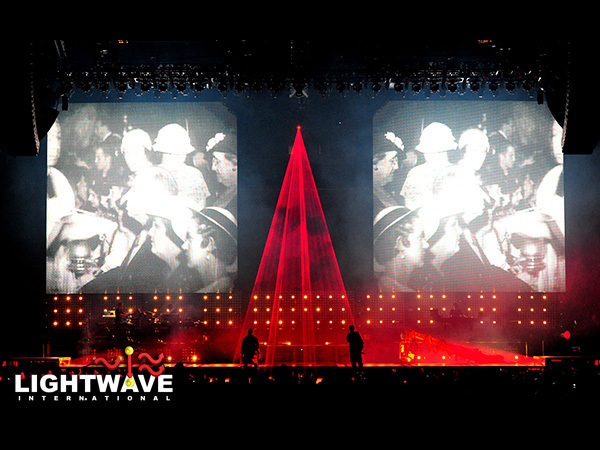 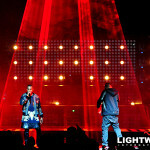 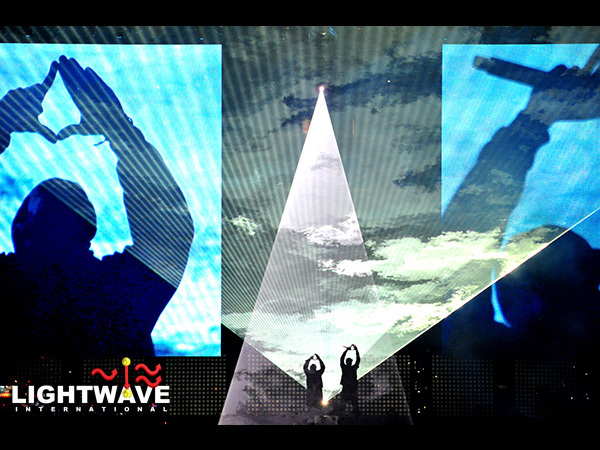 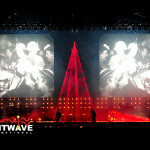 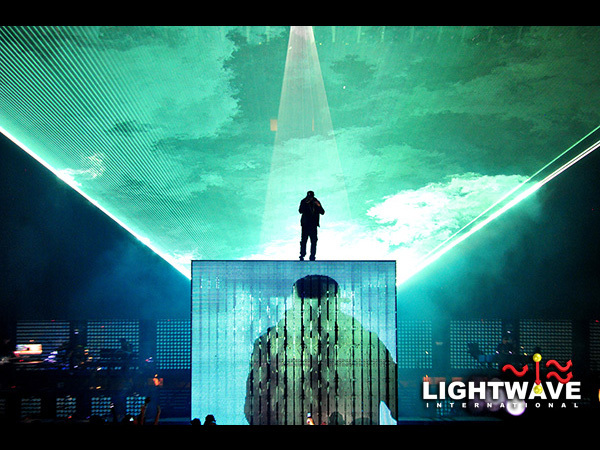 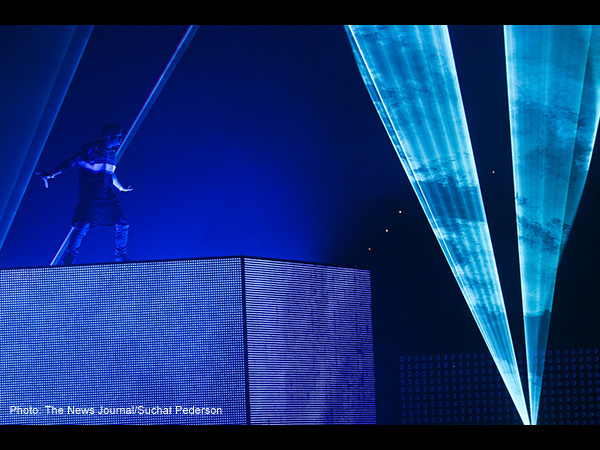 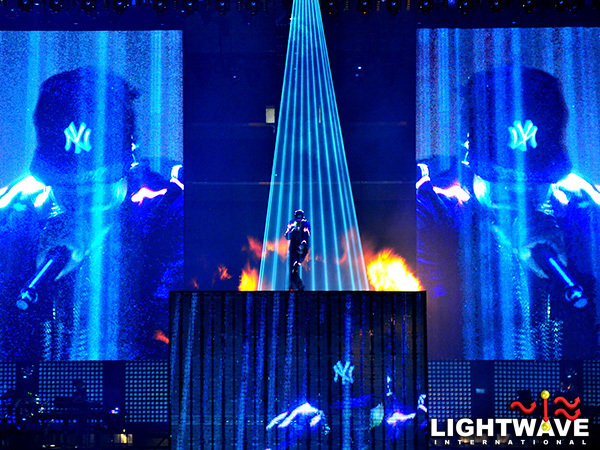 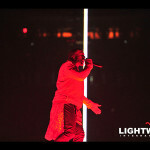 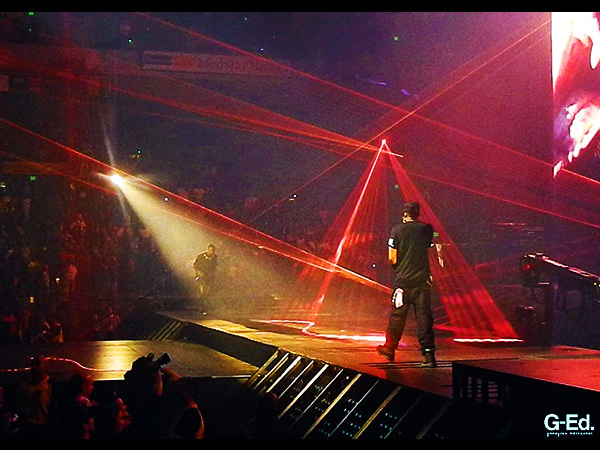 Jay-Z & Kanye West use over 200 Watts of Lightwave Lasers in a heavy-hitting laser tour design. 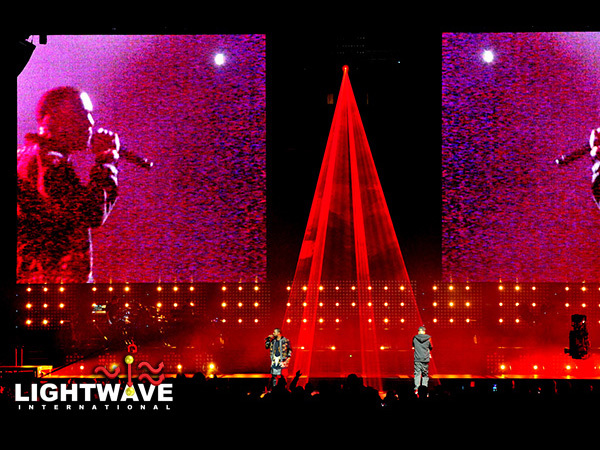 The 2011 ‘Watch the Throne Tour,’ already exceeding platinum-plus sales, is a unique partnership of Jay-Z and Kanye West that is currently touring to sold-out crowds. 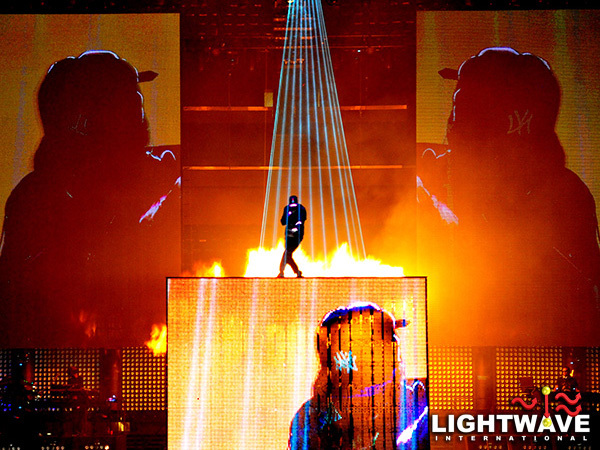 “Turn up the lights in here, baby. 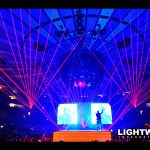 Extra bright, I want y’all to see this” proclaims Rihanna. 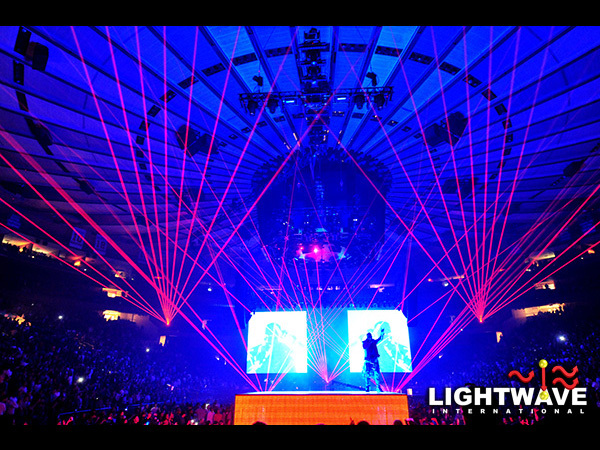 All of the lasers, indeed. 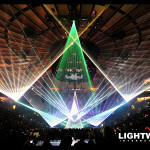 The Throne is currently touring with over 200 Watts of Lightwave Prism Series Lasers that fill the volume of every arena. 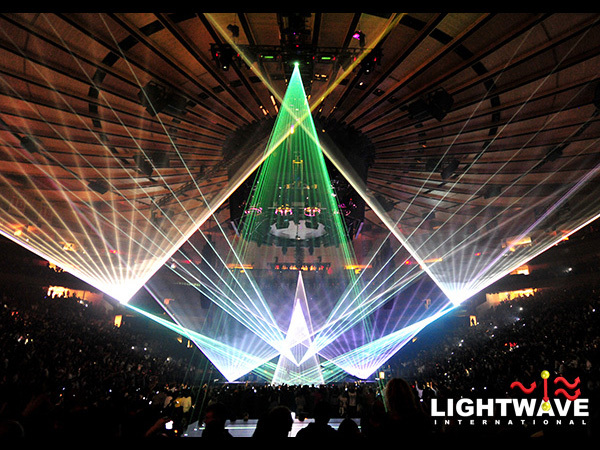 No easy laser placements, the fixtures project from above in the rig, offstage from spot positions, and from seemingly every level of the stage deck. 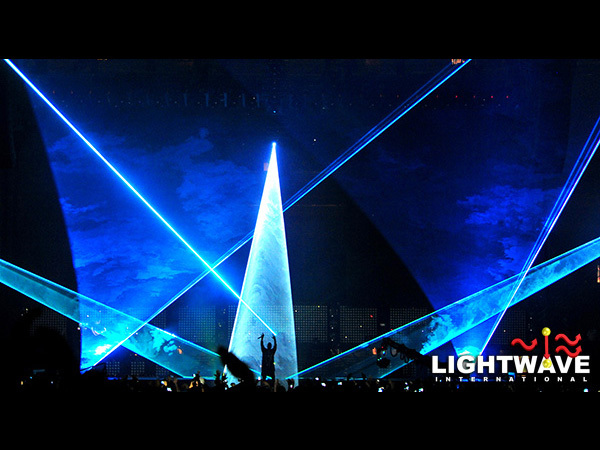 Each laser is controlled live via DMX from the grandMA2 lighting desk under the control of Lighting Designer Nick Whitehouse and Assistant LD Steven Douglas. 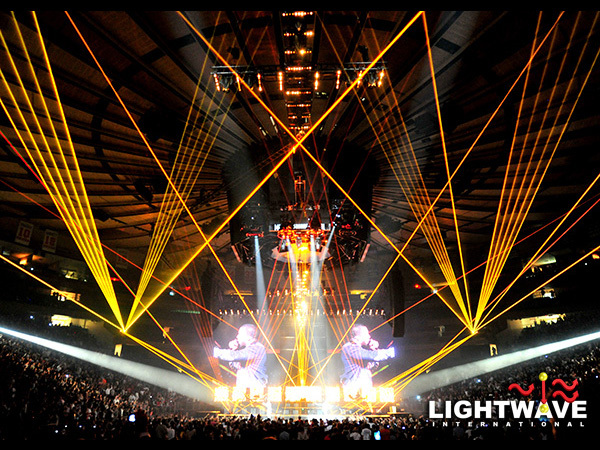 The design also features 130 Clay Paky Sharpy fixtures, VL’s, and staggering walls of Krypton halogen matrix.